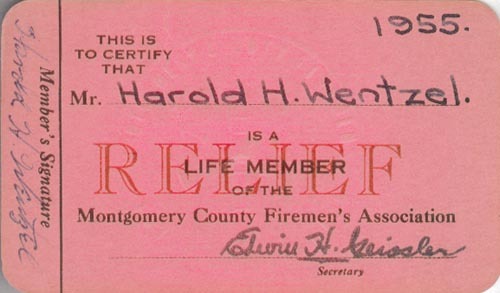 This is to Certify that Mr. Harold H. Wentzel is a Life Member of the Montgomery County Firemen's Association, 1955. Are you looking for WENTZEL ancestors? If so, we suggest posting a query to our Community Message Board to get assistance from other researchers.